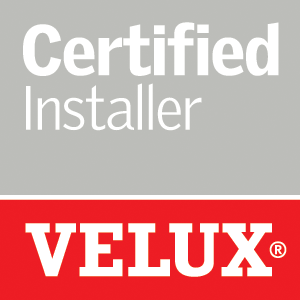 How Experienced Are Dulwich Loft Conversions? We have been operating now for over ten years and have completed many hundreds of projects. Were we often stand out is that many of the team have working for DLC since the very days, and have stayed with the company. Of course this builds a bond between the tradesmen and a form of common interest in getting the job done to the very best of their potential. Among our ranks we have men who have devoted their careers to their trade – master builders, joiners, roofers, architects and electricians – all of these make for a complete service spanning the entire duration of the works. However we’re not just a bunch of old duffers! 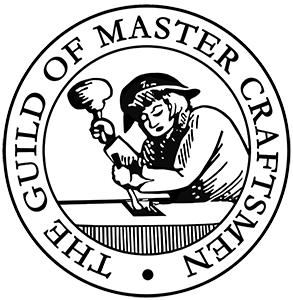 We are active in offering young locals the chance to learn a trade while they work, and thanks to the expertise of the professionals many of them have gone on and done well. Are The Architects RIBA Certified? Absolutely. The architects are part of the team and match up to the quality of the rest of the team. They are all associated with or members of the Royal Institute of British Architects. Everyone wants to get started as soon as we’re given the green light, but it can take a little time to receive all of the documents and paperwork needed for a loft conversion. As a rough rule work can usually start within 6-8 weeks or so. It’s quite likely that you will need planning permission from the local authority. We take care all of this on your behalf, including liaising with building control. This document means that the work planned has been met with all of the official permissions and may now legally begin. Strange as it may sound they aren’t actually necessary; but we recommend them as failure to provide the document can knock value off from the property. They make sense to apply for and can also be useful should there be any planning issues during the construction. Where Will My Stairs Go? Generally speaking we try to place the new staircase directly over where the old one used to be. It helps make the new room ‘come together’ better, yet of course we can try and look into alternatives as you see it. Can Work Be Done In Winter? Yes it can. We are approved to work all throughout the year; the process of building a loft conversion is mainly carried out inside. Will I Need To Replace My Fuse Box? This will depend upon the make and age of the currently installed fuse box. Regulations have been tightened over the quality and capacity for fuse boxes in the home and their ability to power the house satisfactorily. Only an examination of the fuse box will determine this, and if it fails to make these standards then it will need to be replaced. What About A New Boiler? Again this will depend on what’s in place. While the restrictions aren’t as severe as with fuse boxes, the boiler needs to have sufficient capacity to supply water – and it may struggle for water pressure/reliable hot water. We can review this for you during an early inspection. 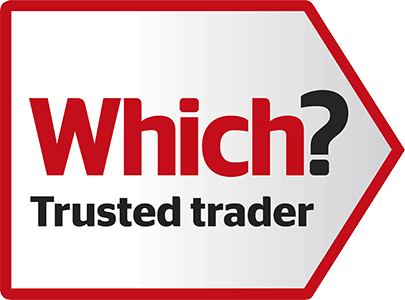 We’re not afraid to say that we’re the best loft conversion team out there and we take customer service exceedingly seriously. If our customer is happy then it makes every part of the process more straightforward, this is why we place great parley on keeping you updated and informed. To help our clients do this we have a cutting edge customer service section on our website that allows clients to log in and check the progress of their work. It’s a treasure chest of information and resources that is a must visit for anyone planning a loft conversion. Our project managers will be sure to be in touch with you once or twice a week to keep you updated on the work. When the site is in progress they will ensure that everything matches the quality that we expect from Dulwich Loft Conversions. Naturally this depends upon the specifics of the property, and can be help up by paperwork and permits should the building officer and/or planners have any queries. Yet as an approximate figure 6-12 weeks is about right for all but the very large/complex loft conversions. Remember that it’s not just about bricks and mortar – there fittings, floors, stairs, water and electric to set up too. How Much Disruption? Will I Need To Move Out Temporarily? The good news is not as much as you might expect. There’s no need whatsoever to move out of the property while works are being performed. We strive to prevent disruption, dust and noise as far as humanly possible but there will invariably be a little. The good news is that the early stages of the project are performed exclusively outdoors, so any disruption inside the home will only be for a comparative fraction of the time it takes to complete. We only use responsibly sourced wood and go out of our way to ensure that comes from a managed and sustainable resource. Our wood supplies, Forests Forever, are an accredited member of the Timber Trade Federation who strive to protect forests and encourage responsible practices throughout the industry. Take a look at their website www.ttf.co.uk for further information. Peace of mind = a happy client we strive to ensure that all of our fees are transparent and accounted for when making the agreement. To reassure customers we include a ten-year guarantee that is insurance based – we are the only company who do this. We are fully insured and our clients need not worry – the point is after all for our teams to take the stress away and build a wonderful new loft conversion.